Greater Miami Jewish Federation and our Jewish Community Relations Council condemn the UNESCO Resolution — The United Nations Education, Science and Cultural Organization (UNESCO) resolution, adopted earlier this week by its Executive Board regarding the Temple Mount and Israel’s most holy sites, is unconscionable and outrageous in its indisputable revisionist history and anti-Zionist language. The resolution is an affront to the Jewish people and its two-millennia connection to the Western Wall and the Temple it once supported, and will heighten the already palpable religious tensions in Israel and the surrounding region. Read more. 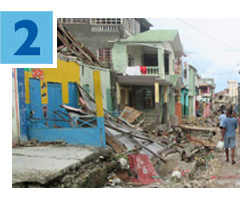 Immediately following the devastating effects of Hurricane Matthew in Haiti and our neighbors to the north, the Greater Miami Jewish Federation created a fund to help with relief efforts. 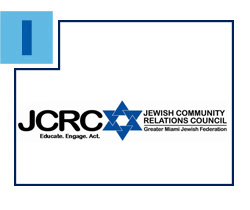 Since the storm, Federation’s overseas partner, the American Jewish Joint Distribution Committee (JDC), has been working with a number of other Jewish and non-sectarian organizations to provide much-needed medical supplies and disaster relief experts to aid in affected areas. This response is especially critical as issues like cholera threaten the most vulnerable. If you haven’t yet donated, please consider a contribution to the Hurricane Matthew Relief Fund. Read more. Don’t miss the chance to hear from keynote speaker and Emmy Award winner Debra Messing, who will share her powerful Jewish story at Federation’s Women’s Event on Friday, November 18 at the Hilton Miami Downtown, chaired by Corey Feinsilver. Messing, a member of the only Jewish family in an Irish-Catholic neighborhood, experienced a great deal of anti-Semitism as a child. Join your friends, daughters and hundreds of other women at this informative and empowering Women’s Philanthropy event! Click here for details and to RSVP now. 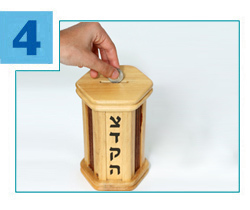 The Jewish holidays are a meaningful time to make a difference in the lives of others through tzedakah. When you donate to the Annual Greater Miami Jewish Federation/UJA Campaign, you are supporting humanitarian, social-service, educational and identity-building programs for Jews in Miami, in Israel and in more than 70 other countries worldwide. Each contribution joins with thousands of others to help local and overseas partner agencies touch the lives of Jews wherever they live. For more information and to donate, please click here. Thank you! Wanted: Creative kids! PJ Our Way, the innovative literacy program for Jewish children ages 9-11, is looking for budding leaders in the Miami community to join the prestigious National Design Team. 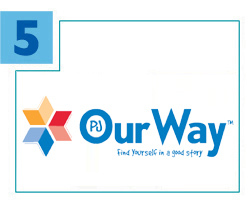 PJ Our Way Design Team members create reviews, videos, polls, quizzes and blogs for the national website and participate in monthly online workshops and author interviews, while learning how to be local ambassadors. For more information, click here. Applications, due Sunday, October 30, can be accessed here. PJ Library is a gift from the Greater Miami Jewish Federation made possible by the Harold Grinspoon Foundation and the Blank Family Foundation.